POTOMAC, MD, October 09, 2018 — Marquis Who's Who, the world's premier publisher of biographical profiles, is proud to present Norman Augustine, LHD, with the Albert Nelson Marquis Lifetime Achievement Award. An accomplished listee, Dr. Augustine celebrates many years of experience in his professional network, and has been noted for achievements, leadership qualities, and the credentials and successes he has accrued in his field. As in all Marquis Who's Who biographical volumes, individuals profiled are selected on the basis of current reference value. Factors such as position, noteworthy accomplishments, visibility, and prominence in a field are all taken into account during the selection process. With over 40 years of professional experience, Dr. Augustine served as chair, chief executive officer, and president of the Lockheed Martin Corporation from 1995 to 1997. Prior to these roles, he held a number of positions with the Martin Marietta Corporation, including vice president of technical operations from 1977 to 1982, vice president of the Astronautics Group from 1982 to 1985, senior vice president of information systems in 1985, president of the Corporation in 1986, and chief executive officer from 1987 to 1995. From 1975 to 1977, he was undersecretary of the Army for the U.S. Department of Defense, having been assistant secretary from 1973 to 1975 and assistant director of research and engineering in the Office of the Secretary of Defense from 1965 to 1970, also serving as vice president of advanced systems, missiles, and space of the LTV Aerospace Corporation from 1970 to 1973. Earlier in his career, Dr. Augustine was a program manager and chief engineer for the Douglas Aircraft Company, Inc., from 1958 to 1965. He has served on the Board of Directors of ConocoPhillips, Proctor & Gamble, Black & Decker and Lockheed Martin and has served as a trustee of Johns Hopkins, MIT, and Princeton and as a regent of the University System of Maryland. 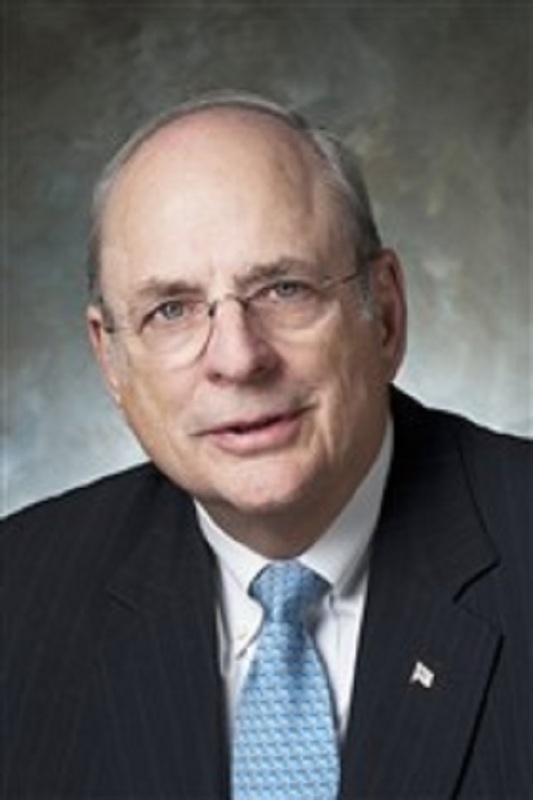 He has served in numerous charitable positions including chairman of the National Academy of Engineering, President of the Boy Scouts of America and Chairman of the American Red Cross and chairman of the Association of the United States Army. Dr. Augustine attended Princeton University, completing a Bachelor of Science in engineering in 1957 and a Master of Science in engineering in 1959. Dr. Augustine holds honorary doctorates from Arcadia University, Boston University, Carnegie Mellon University, Case Western University, Colorado School of Mines, Drexel University, Duke University, Embry Riddle, George Mason University, Georgetown University, Harvard University, Johns Hopkins University, Marymount University, McDaniel College, McGill University, Michigan State University, Michigan Technological University, Milwaukee School of Engineering, Montgomery College, National Defense University, Pennsylvania State University, Princeton University, Rensselaer Polytechnic Institute, State University of New York, Stevens Institute of Technology, Trinity College, U.S. Naval Postgraduate School, University of Arizona, University of Central Florida, University of Colorado, University of Denver, University of Florida, University of Maryland, Wheeling Jesuit College and Worcester Polytechnic Institute. Throughout his career, Dr. Augustine has been recognized for his contributions, including with the National Science Foundation Vannevar Bush Award, the Franklin Institute Bower Award for Business Leadership, the American Association for the Advancement of Science Philip Hauge Abelson Prize, and is the recipient of the Public Welfare Medal from the National Academy of Sciences. Dr. Augustine was also awarded the National Medal of Technology by the President of the United States. Johns Hopkins University School of Engineering presented Dr. Augustine the Blumenthal Award, and the Society for American Military Engineers Academy of Fellows gave him a Gold Eagle Award. He was named Personality of the Year by Flight International Aerospace, and he received the Ralph Coates Roe Medal from the American Society of Mechanical Engineers, the Golden Plate Award from the American Academy of Achievement, and the James Madison Medal from Princeton University. Dr. Augustine received the National Engineering Award from the American Association of Engineering Societies, the Arthur M. Bueche Award from the National Academy of Engineering, and the Goddard Medal from the American Institute of Aeronautics and Astronautics. For his contribution to national security, he has received five Distinguished Civilian Service Medals and a Meritorious Service Medal from the U.S. Department of Defense, the Chairman of the Joint Chiefs of Staff Distinguished Public Service Award, and the U.S. Military Academy Thayer Award. He is the author or co-author of four books. Dr. Augustine has been featured in numerous publications, including multiple editions of Who's Who in Finance and Industry, Who's Who in 20th Century America, Who's Who in America, Who's Who in America: Student Version, Who's Who in Medicine and Healthcare, Who's Who in Science and Engineering, Who's Who in the East and Who's Who in the World. In recognition of outstanding contributions to his profession and the Marquis Who's Who community, Dr. Augustine has been featured on the Albert Nelson Marquis Lifetime Achievement website. Please visit www.ltachievers.com for more information about this honor.